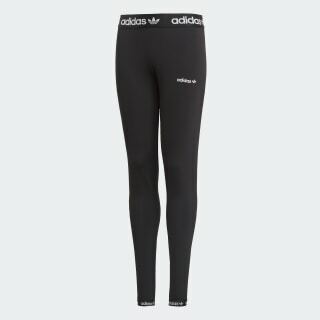 Tight-fitting leggings with a sports-inspired vibe. Authentic adidas heritage adds flair to this wardrobe staple. 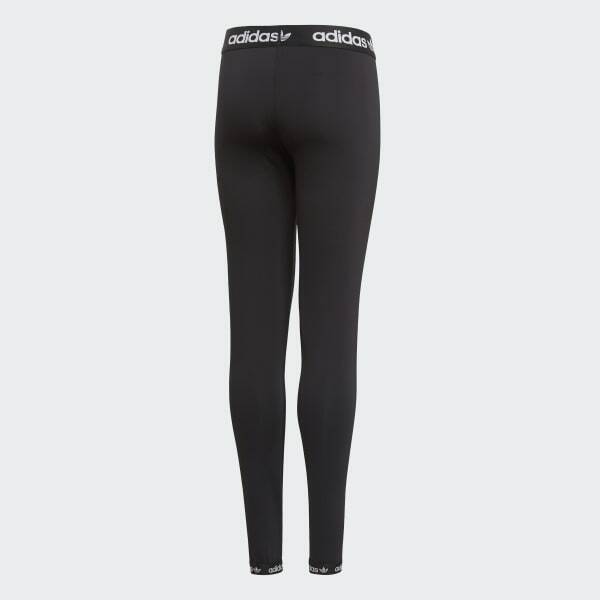 These junior girls' leggings show off sporty style with contrast elastic on the waist and ankles. They're made of a slightly shiny fabric with a stretchy, sleek feel.